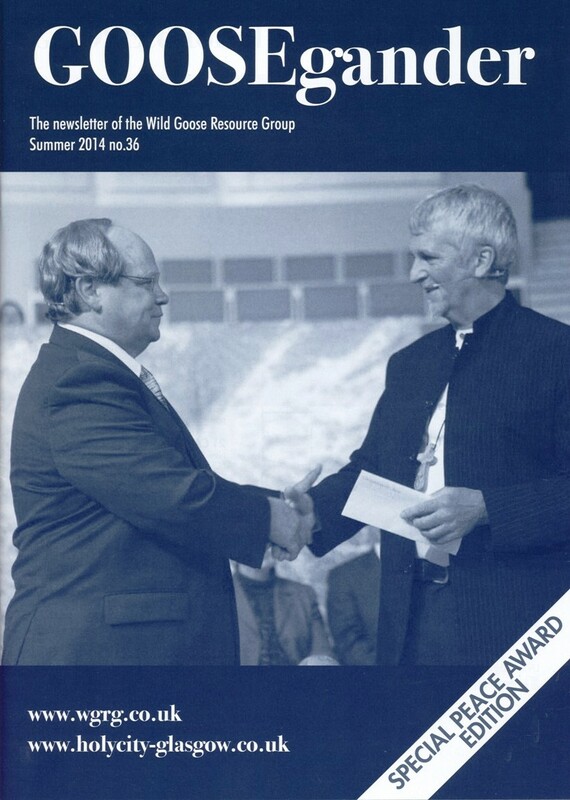 GOOSEgander is the newsletter of the Wild Goose Resource Group, a semi-autonomous project of the Iona Community. Keep in touch with WGRG developments and news! You can get GOOSEgander in 2 ways. If you want the full version, you can subscribe (see ORDINARY/ ORDINARY + LITURGY/ SUPPORTING below) and you’ll receive 2 issues of the full hard-copy newsletter (UK post free), published roughly every 9 months. The full version contains feature articles, including those by John L. Bell, Liturgy gander (prayers, litanies & reflections), GooseOose (WGRG news items), and Gander At The Calendar (WGRG event dates). For details, see below and the GOOSEgander subscription page. OR you can download an extracted version of GG. This contains the contents of the hard-copy version, minus the main feature articles and Liturgy gander. Go to the GOOSEgander (Version: Download) page. Any SINGLE ISSUE @ £2.25. For this you will receive the full hard-copy version of the issue of GOOSEgander you specify (UK post free). An ORDINARY subscription @ £4.50. For this you will receive 2 issues of the full hard-copy version of GOOSEgander (UK post free). An ORDINARY+LITURGY subscription @ £8.50. For this you will receive 2 issues of the full hard-copy version of GOOSEgander, plus a copy of that year’s WGRG liturgy booklet, worth around £4.50 (UK post free). If ordering by post and enclosing a cheque, 10% of WGRG title value can be deducted at source. If ordering online here, SUPPORTING subscribers’ payment card will be initially charged at the full amount; thereafter we will make a refund to your card for the 10% of value plus postage. For overseas subscriptions, a further amount will need to be added to cover postage. Please contact the WGRG (see below) for further details, or go to the GOOSEgander subscription page.